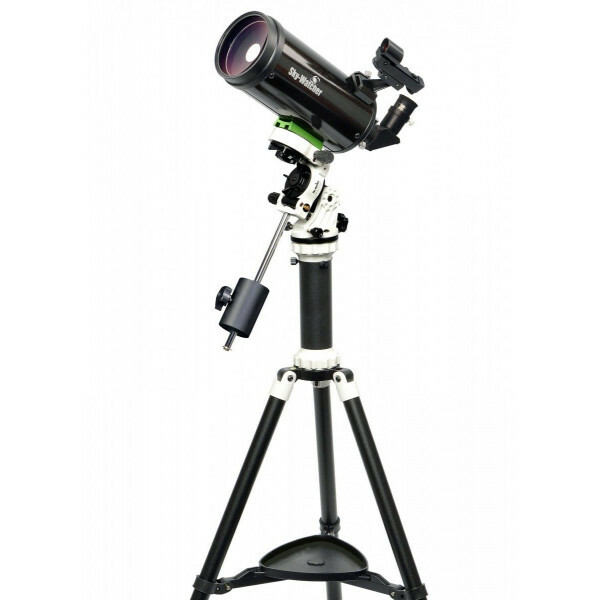 Maksutov-Cassegrain catadioptric telescope with a diameter of 102mm, focal length of 1300mm (f / 12.75) on altazimutal mount - equator AVANT and aluminum tripod adjustable in height and half-column. 31.8mm Super 25mm (52X) and Super 10mm (130X) diameter eyepieces with Reddot finder. The ideal optic for high resolution observations on the Moon, planets and in naturalistic with optional diagonal to rectified image. 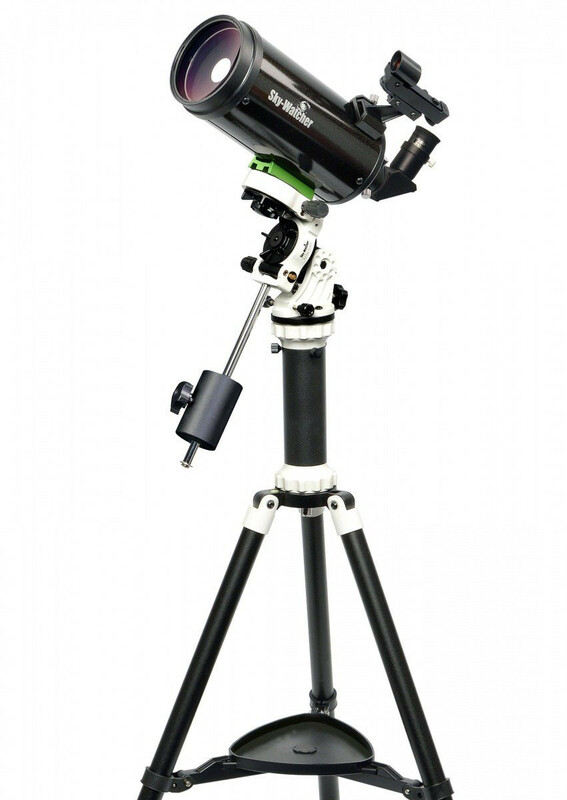 The new AZ-EQ Avant mount is the perfect synthesis of portable altazimuth and equatorial mounts available on the market. Ideal both for visual observers and for photographers who need a light, comfortable frame, equipped with micrometric movements and adaptable to every possible situation and need. The good load capacity around 3kg is ideal for those who like lightweight instruments, compact, but who also want rigidity and excellent performance. The compactness and sturdiness of the AZ-EQ Avant mount will surprise you! The new AZ-EQ Avant mount can be used in both altazimuth and equatorial configurations, with the possibility to switch from one to another in just a few seconds. For an observation or a flash photograph set the frame in altazimuth, while if you want to observe planets, clusters, galaxies or even simply the Moon set the latitude base of the mount to your latitude helping you with the graduated scale and orientate it indicatively, maybe helping you with the compass of your smartphone, at the celestial north pole. By acting only on the micrometric motion of the axis of AR you will keep in the center of the field the objects you want to observe and investigate.